Orthognathic surgery involves cutting the jaw bones to correct bony asymmetries and deficiencies of the top, bottom or both jaws. It also may involve surgery to the chin (genioplasty). The process involved is both complex and complicated and requires highly trained surgical technique. The surgery is performed to place the jaws in the correct position in order to enhance chewing, speaking and eating. In many cases it may also enhance aesthetics and facial profile. It is almost always done in combination with an Orthodontist and can also involve procedures such as widening of the top jaw and bone screws to assist them in aligning the teeth prior to definitive corrective jaw surgery. 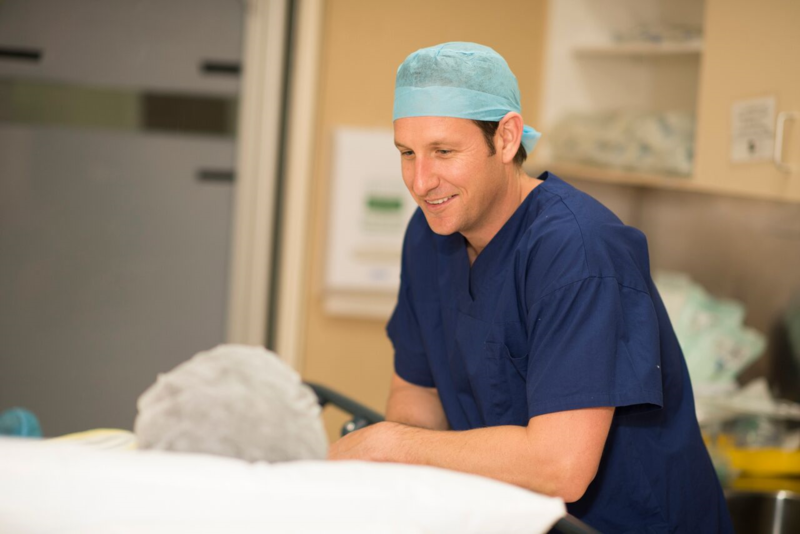 Dr Webber regularly performs maxillary and mandibular osteotomies and works with majority of the Gold Coast's leading Orthodontists to achieve optimal functional and aesthetic outcomes. He also performs isolated genioplasty or chin surgery, (advancement or reduction) as an adjuvant service within his practice. Orthognathic surgery must be performed in hospital as an inpatient under a general anaesthetic. If you are uninsured we suggest you consider obtaining private health insurance to reduce your out of pocket expenses. To arrange an assessment appointment please email us or call 07 5527 8858. A genioplasty is a type of surgery done to reshape the chin. It can have a strong effect on the aesthetic harmony of the face. Most people who decide to have genioplasty are seeking to balance the appearance of their facial features by enlarging their chin and increasing its projection on the face, though in some cases, a genioplasty is also done to make the chin smaller. It is not unusual for a genioplasty to be done in combination with other surgical procedures to the face, such as orthognathic (corrective) jaw surgery. A genioplasty involves repositioning the bone from the patient’s own chin. The tip of the chin is cut from the lower jaw and physically moved forward. It is then reattached using small metal plates and screws. 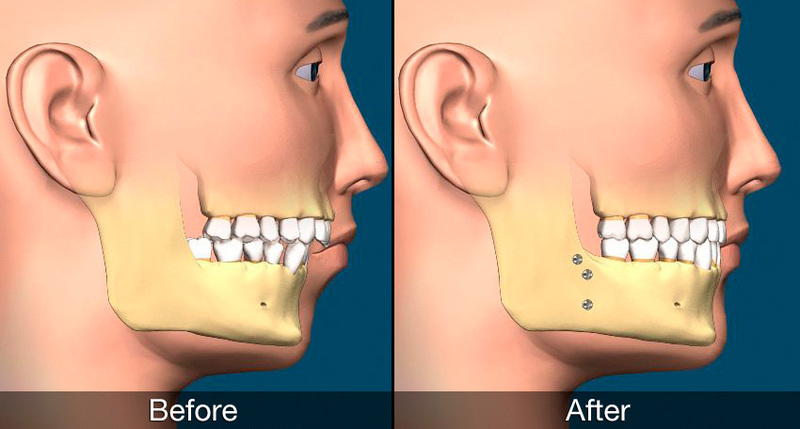 When the chin point is reduced or made smaller, the same approach applies but a wedge of bone is removed prior to repositioning and reattaching the chin point with plates and screws. The procedure is performed under a general anaesthesic and is done through a small incision made on the inside of the mouth, therefore leaving no visible scars. In almost all cases, patients go home the day after surgery and Dr Webber will perform routine reviews in his rooms following the surgery.